The day started with a joint breakfast and an opportunity to prepare lunch to take afloat. The first start was scheduled for 13:00, so there was plenty of time to fix final details on the boats. Next start showed the U-flag, but many sailors were over the line at the second attempt. Therefore, also this gave a restart, and now we saw the "Black Flag" In the third attempt which came off with success, and the race was completed in light but reasonably steady wind. The second race was started in the traditional way, but again the referee had to call back fleet ... and then another U-flag followed up by a black flag. The start went of with 17 boats too fast on the trigger. But, at fourth attempt the fleet came clean off the line and the race was settled in choppy seas and little wind. The weather forecast for the next day promised some more wind, but still as a beautiful summer day. From the early morning we saw fresh wind and sunshine from a cloudless sky. The weather forecast had promised 4 m/s and those who like medium wind condition went out with a big smile. There was not quite the same at the scheduled start time. 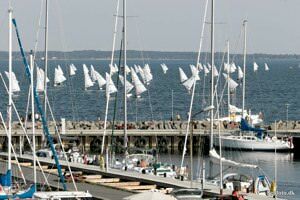 Sailing from the slipway in Lundeborg port to one of Denmark's best racing waters is less than 5 minutes. 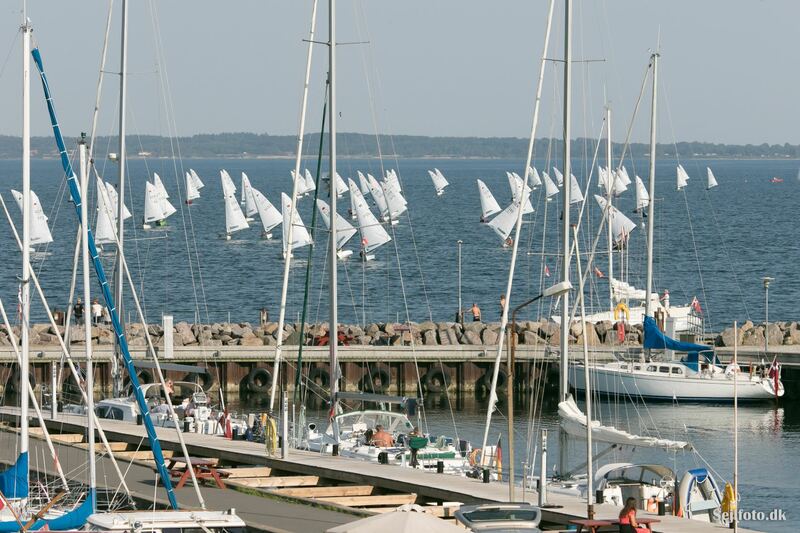 As many would expect the first race was launched with a high number of boats over the line. Prompt reaction from the committee boat after a general recall was the black flag in the next race. 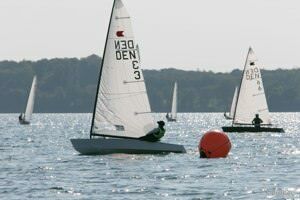 Perhaps the swift intervention (17 disqualified) with the black flag the previous day had made an impression on the sailors, as the next start went perfectly – without any boats over the line. 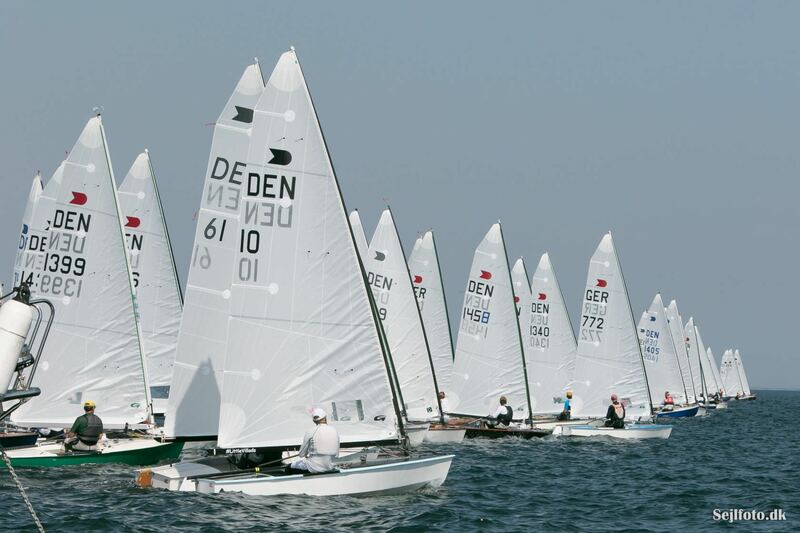 Despite the weather forecast the race was settled in very light wind and was won by "The family Svendsen." 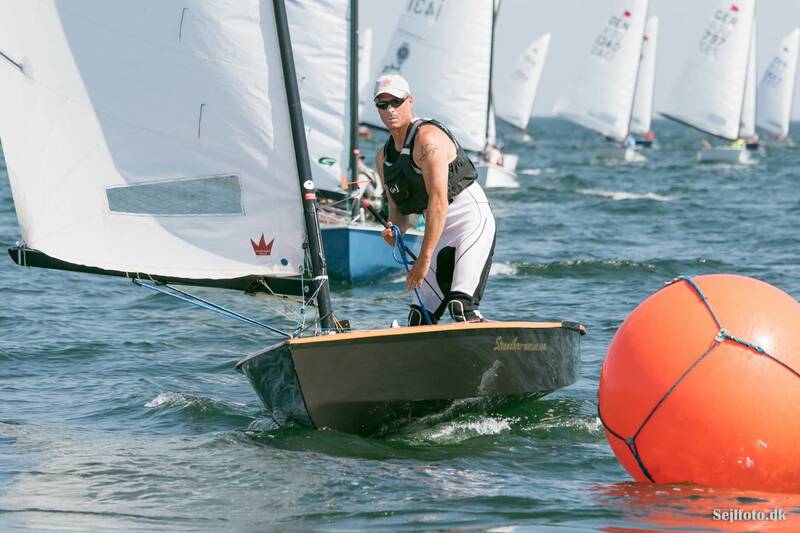 In the second race, the first three boats across the line (Jørgen Svendsen, Stefan Myrälf and Niels-Kristian Terkildsen) were noted to have been over the line, and Jorgen Lindhardtsen who otherwise crossed the finish line in fourth, was awarded first place. 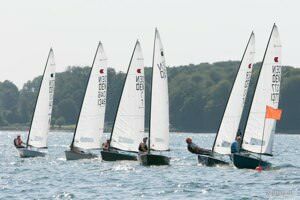 The wind picked up a little before the fifth race, and again the fleet was thinned out a little, as some boats got black flag - and since it was the last race of the day, there were a number of sailors who returned early to the harbour. However, the remainder of the fleet came well off in the next attempt, and the wind finally freshened up a bit. The weather forecast predicted fine windy conditions, and those who like to hike were not disappointed. With an average of 8 m/s in the morning meant that there was a little more quiet at the camp site than had been heard the other days. You could just sense that the focus was already a little out on the course. Someone with a focus on hitting the right wind jumps, while others might rather focus on how to get through the day without capsizing. 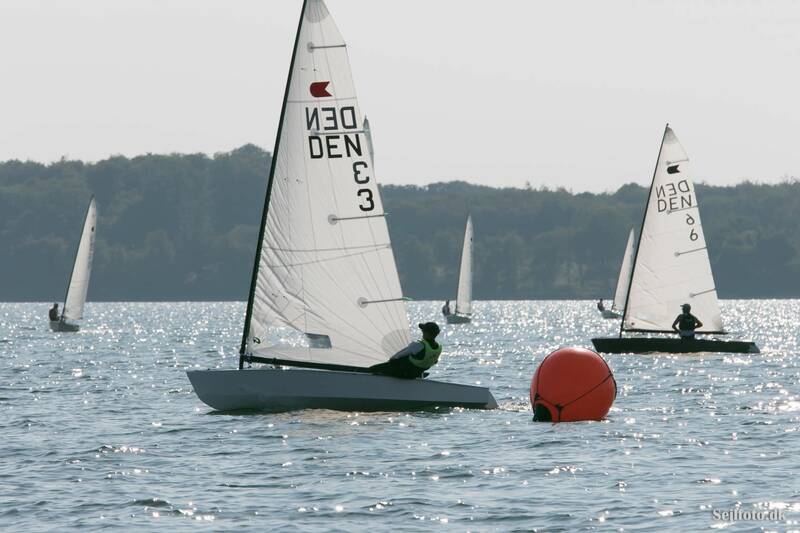 The dinghies were in the water in good time, and the races were started on schedule. As usual, the first start gave a general recall. Just as seen the previous days, the black flag was set at the subsequent start. The fleet started in perfect sailing conditions: medium strong wind and waves to play with off the wind. 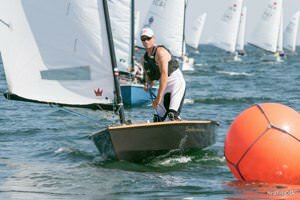 For the first time in the regatta we saw Bo Petersen in the top 3. The fleet was now gradually decreasing, after several had "gored eel" in the first race. But the weather was stable, and the constant wind and waves from Langeland gave the sailors a final opportunity to get sea spray in their hair and a little more tired "hanging-legs". The last race was won by Oliver Gronholz (Germany) from Bo Petersen and Stefan Myralf number three. Back on land, the big packing up day was underway, and all the while dinghies, tents boxes etc were being packed together, the organisers prepared for prize giving in the clubhouse. Tension on the podium was released, and it was three happy medalists each received gifts and cups on the terrace of Lundeborg.